Oh yes, this old chestnut. An age old discussion in gaming circles. A selection of the most arse-kicking, noble, admirable, influential and heroic characters in all of video gaming. This is a list that people can debate until the end of time, and all will have good arguments for offering their suggestion. Iconic game protagonists for me come from the generation before this one, these are the characters that shaped modern gaming, story-telling and the personalities of the familiar faces of today. These legends transcend the gaming scope, are universally recognised as being vitally important to game development and history, these are the characters who have struck a chord with me, stayed with me, and been my guides through my gaming journey. Here is my ultimate top 10 of gaming legends! 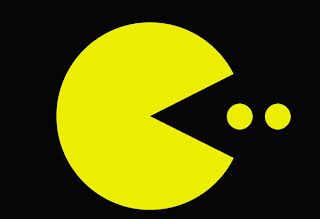 #10 Pacman - Undoubtedly an important part of the popularisation of video games, this hungry little yellow disc has chomped his way over nearly every platform there has ever been, the original game still proving a favourite today with Flash clones and mobile apps abundant. The original Mr Man has the navigation skills, the ability to consume vast amounts of yellow balls, and to become a ghost-buster when chewing on a large pill of dubious nature. He is also instantly recognised the world over. #9 The Belmont Family - Talk about dedication! This family of vampire hunters have been forever thwarting the exploits of the head-honcho of blood suckers, Dracula himself. Generation after generation, the Belmont men and women have been battling the hoards of demons and undead of Transylvania. An NES classic initially, the Castlevania series is one of the most long-running and popular conceived platform capers. If I were to pick one Belmont, it would be Simon, the original man to face and defeat Drac's, and also to appear in the most titles. Van Helsing has nothing on these guys! #8 Samus Aran - The first and only queen of girl power in gaming, way before the likes of Lara Croft, Samus was kicking alien behinds and saving the galaxy long before Miss Tomb Raider made an appearance. Donning her bionic armoured suit, she searched and blasted her way over millions of platforms, destroying the Space Pirates in their attempts to gain the powers of the metroids. Best still, the macho-type gamer guys that played the original never had no idea she was a women until the end! Right on Sister! #7 Sonic the Hedgehog - A prominent figurehead during the 16-bit 'console wars' of the nineties, this sprightly blue mammal burst onto the scene to put Mario in his place. The plucky plumber however was not outdone, but Sonic became a great mascot on his own accord. He was fast, had attitude, and fought an insane inventor that made Bowser look like a child's teddy bear. More importantly, Sonic was personified as cool! He was just that during his 2D heydays, loving his insane dashing around and his insolence for the laws of gravity. Shame his later 3D adventures were a little bit rubbish. #6 Dizzy -Bouncing his way across 13 games, this strange egg-man that wears boxing gloves proved to be a big hit with the 8-bit home computer users of the eighties. His legacy continues today with re-imaginations of his games on the iOS, as well as fans creating new games based around his original universe. Dizzy was a hero of usual proportions and disposition, but he still had the guile and courage to take on the fantasy beasts and powerful wizards of old. A true classic-underdog video game legend. #5 Ryu - The most revered and significant face of the Street Fighter franchise, the travelling wanderer searching for the ultimate fight is one of few characters to appear in all of the Street fighter games, his training partner Ken and nemesis Sagat the only others. 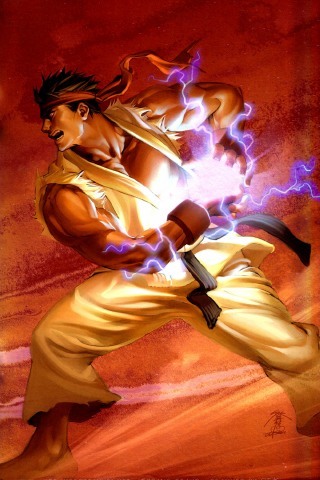 Since the first edition, Ryu has been the front-man of the series, the embodiment of strength, skill, endurance and honour. He also has the most unrivaled special move in all of the titles, the equally legendary Dragon Punch. Ryu is the man of street fighting! #4 Solid Snake - The genetically created super-soldier with a heart of steel and gold, the only one not to be slightly insane; Snake fights against terrorism, genocide, corruption and greed, all with little or no reward. He smokes, he's gruff, miserable and pessimistic at the best of times, but he still finds it in himself to singularly beat extensive armies and a giant super-tanks repeatedly. Nails! #3 Link - The Elf-type boy come good, his life is all about rescuing the Princess Zelda from the tyrrany of Ganon. He's magically blessed, has excellent sword skills and is pretty handy with a bow too. He has even altered the flow of time. Link has graced the Nintendo platforms with honour and distinction, and all this started when he was merely a teenager. Popular and revered by many gamers, and a hero to look up too. #2 Mario - Many people would choose the former Jump-man as number one, and he does come very close. His endless nemesis Bowser has never got the better of him over 20 different titles, as Mario conquers the landscapes, caves, tunnels and castles frequently, bringing joy to many a gamer. Super powered by things like mushrooms, flowers, leaves and feathers, he is tenacious, adaptable, quick and basically a good old soul. He also pops up in situations that seem out of his comfort zone, like racing, tennis, golf and fighting games. He is and most recognised and loved video game character that there has even been, and the mascot for all that is great about games. Hail this Italian pipe-fixer! #1 Cloud Strife - He has been manipulated and controlled, had his mind and body altered and lives a life of someone he is not, but the man with the big sword and spiky hair gets the top spot because of his relentless drive to put things right in the world. He has suffered for this too, losing the love of his life, having fractured relationships with his friends and never really regarded as a hero. But, he wouldn't want it any other way. The most reluctant champion for what is right, he continues on in life, struggling with his own personal issues but always coming out on top, usually adding a quip or two in the process. Oh, and it just so happens he is the star of one of the finest RPG's ever. 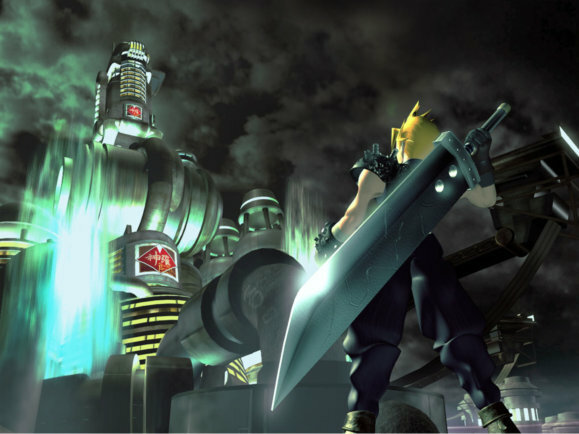 Yes, you've guess it, Final Fantasy VII. That's my legends list all done, and I think a list many will agree with. What would have been your inclusions? Who stands out as a legendary hero for you? I'm going to sit back and relax for the next top 10 and listen to the wonderful original soundtracks that have been accompanying great games for over 3 decades. M is for Music Marvels, so you can once again expect FF7 to feature. Cloud was truly ace. Had his struggles and problems, yet always entirely empathetic.